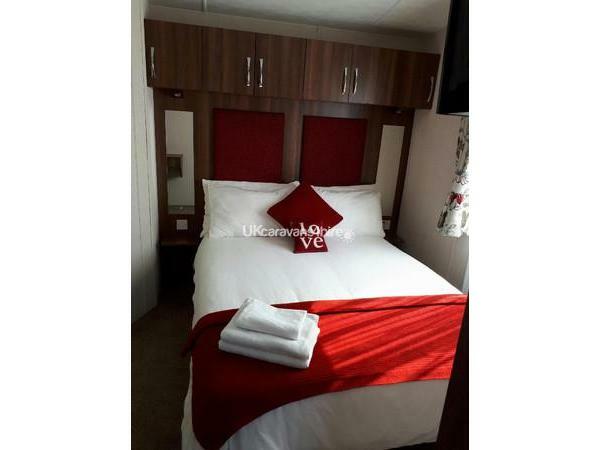 Additional Info: All electric central heating, DAB Radio (Bluetooth), CD Player, TV in Master Bedroom, Master Bedroom en-suite (access from coridoor and bedroom) and has a 'dressing area' which we have also used as a space for our Grandson's Travel Cot. Both TV's have built in DVD Players. USB Power points to charge your portable devices. Outside lighting on decking posts.Washing Machine & Tumble Dryer. 20% non-refundable deposit required with booking to confirm, balance to be paid 1 month before holiday. Payments to be made by debit/credit card over phone, bank transfer or Paypal. Short breaks of 3/4 nights are charged at the pro rata seasonal rate plus £25. Please enquire. 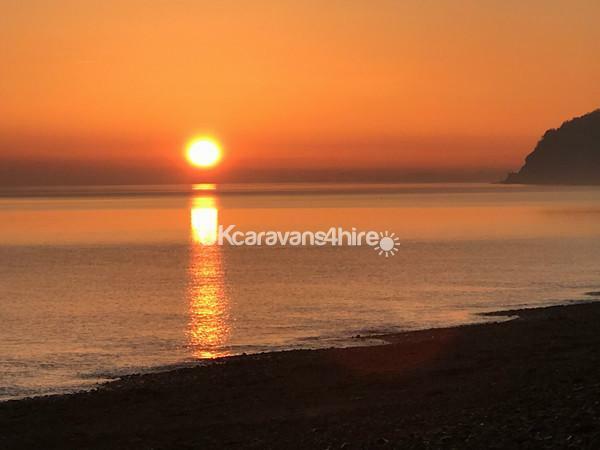 Seafront Caravan to let for full weeks or short breaks Monday - Friday or Friday - Monday. 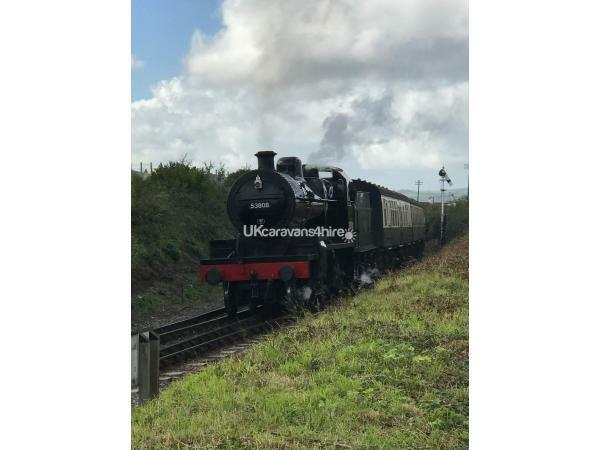 Excellent location with the Sea in front of you and Steam Trains chuffing at the other side of this fabulous Caravan Park. On site there is a small shop selling the basics and Cafe, an indoor fun pool, Sauna, Steam-room, Crazy Golf (new), play areas and Park. If you like Sea Fishing, you can join the many regular Fisherman on the Sea Wall at High Tide. Just a short walk away are The Driftwood Seafront Cafe and The Smugglers Inn. 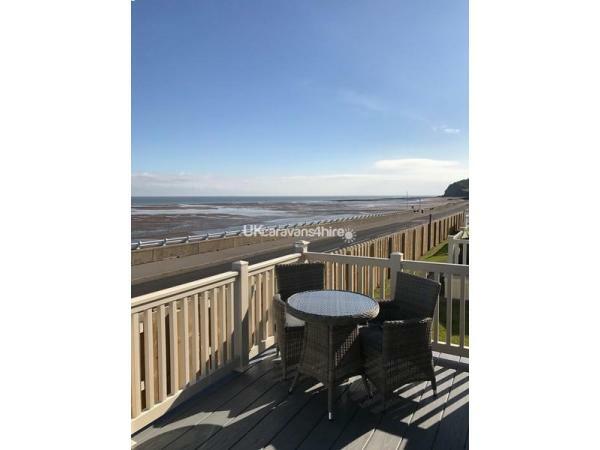 A few miles away is Dunster Castle, Dunster Beach and a little further down the Coast (4 Miles) is Minehead. Nestled in-between you will find quaint Somerset Villages. 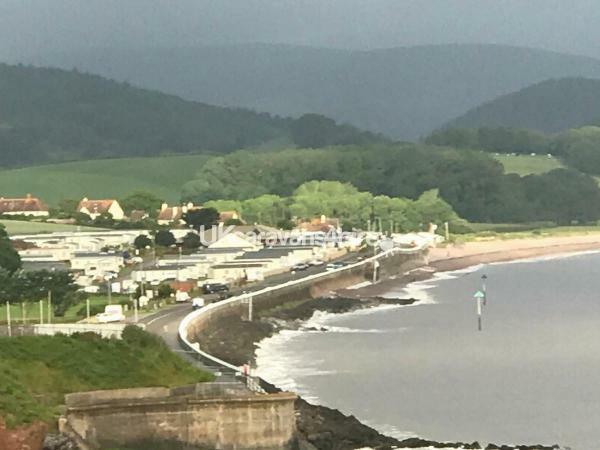 Minehead and Butlins, visible to the left from the Caravan decking, is the nearest 'resort' and is one of the many gateways to Exmoor. At Minehead you will find an array of shops, including the usual Supermarkets. Looking right from the decking you can walk (or drive) along the Coast to the Historic Harbour of Watchet. Further afield you can explore the Quantocks, Porlock and Lynton & Lynmouth. A wonderful relaxing place for couples, families (and dogs) to enjoy your deserved Holiday. The Beach at Blue Anchor is dog friendly. Beds have mattress covers. Bed linen and Towels provided. Beds will be made up for you. We use our Caravan a lot.....feels like a different world! The Laundry facilities are invaluable....meaning you don't have to pack as many clothes. 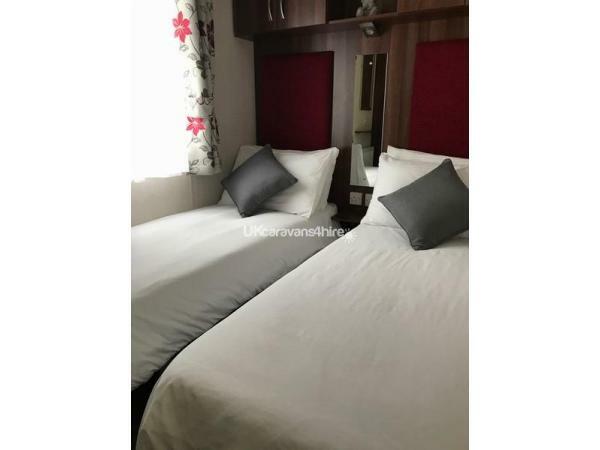 Additional Info: Sauna & Steam Room, Gym, Play areas and Park. Games room adjoined to the Shop. Free Wifi (not the fastest, but will get you connected). Superb caravan, welcome tray and music wonderful, Sue & Mick made it so easy to book and make our holiday comfortable. Weather was lovely, came home with a sun tan in February!!! Kind regards, Jane & William. All the previous comments absolutely ring true. 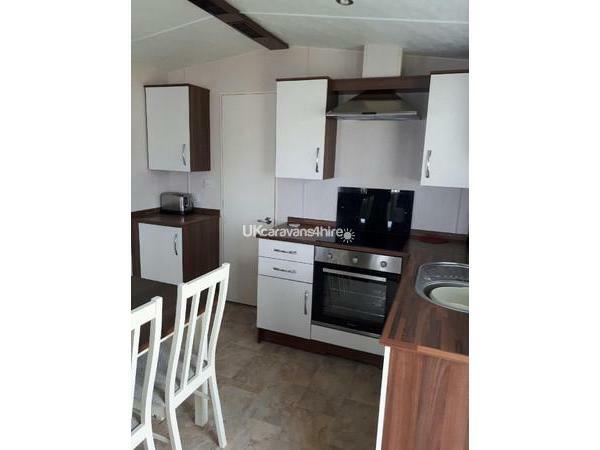 Lovely warm, clean and well positioned caravan in a lovely quiet site with plenty of things to do locally. Couldn’t of picked better for a short break away. 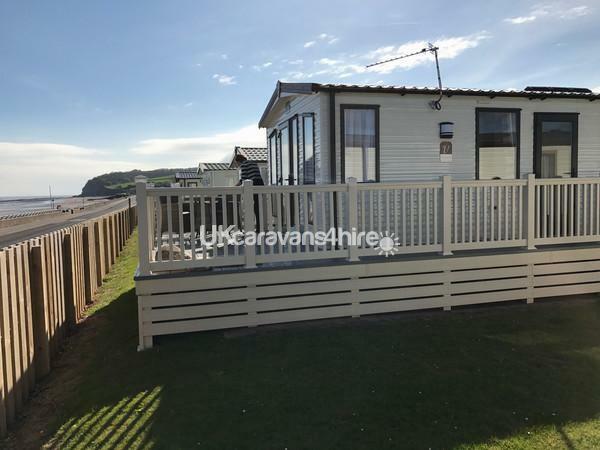 I was very impressed with the warm and welcoming atmosphere created by my hosts on my first introduction to the caravan and the site. A tray of tea, coffee and biscuits laid out and milk left in the fridge. 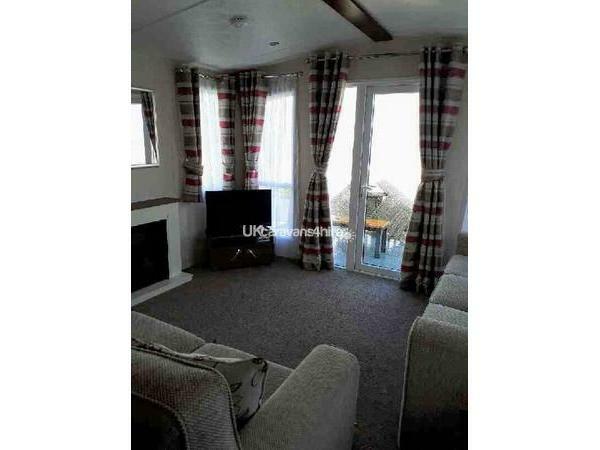 The caravan was warm, cosy and very clean; with everything you would need, extremely well thought out! 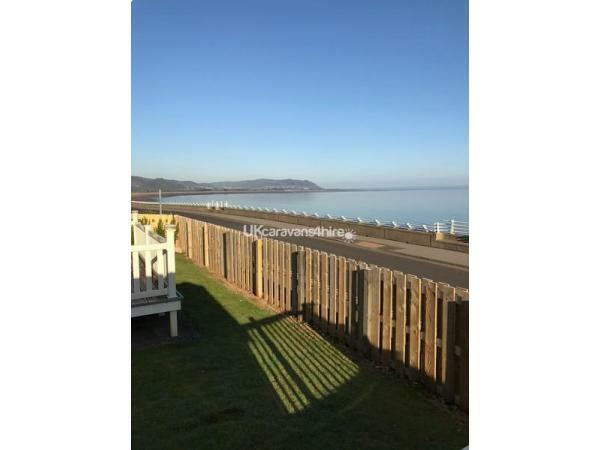 Being situated on the front gives you a view of the sea and the welsh coast, which when lit up at night is lovely to look at. Spectacular sunsets during my stay were also very enjoyable. Thank you Sue and Mick for sharing your lovely caravan. From a mature lady and her little dog. Hope to book again. Absolutely fabulous even though we had hurricane Helene blowing the weather was sunny and the caravan was fantastic Sadie our dog felt quiet at home it is clean and tidy every thing you need is there went to bonehead market sue is a very nice lady and help me pick and book next years holiday. We were so impressed with this caravan. Clean with everything we could have needed with many thoughtful additions, including tea and coffee on arrival and spare dog bowls and lead, if needed. The cooker was easy to use and the shower was consistently warm, making it feel like an apartment rather than a caravan! The view was amazing and the balcony meant that we could enjoy meals outside, watching the sea. This was a last minute booking - the owner was helpful and the transaction easy. We could not have asked for more. Thank you. HIGHLY RECOMMEND HIGHLY RECOMMEND ???????????? We loved the break we had here, so amazingly clean, everywhere was spotless.. it was brilliant! As we have turned up at so many caravan holidays and either found an alternative accommodation or returned home due to the state of them. However this is holiday home is amazing, welcome tray on arrival beds made up lovely radio playing. Absolutely ???? lovely can not be faulted at all. Beautiful view, watching the world go by, hoping to return in the next few months. Nothing is to much trouble. HIGHLY RECOMMEND. Wow! What a caravan. The best plot on the site in my opinion, opposite the sea and 100m from the pool / shop / crazy golf. Absolutely perfect location. The sunsets were breathtaking, the decking made the best view point. The owners were very friendly and quick to reply to my questions. A receipt was sent which I found reassuring when booking. The caravan was spotless, so clean inside. Bed covers were provided which have us extra room in the car. Milk, tea and coffee was there on our arrival. The site doesn't have a club house (which I didn't think to check when booking) but this didn't impact our enjoyment. It meant peace and quiet, evening walks / scooting around the park or visiting one of the two play areas. We swam in the sea every day and also used the pool. Couldn't fault the caravan, site or the owners. Thank you for a wonderful break away and for offering Monday - Friday breaks which suited our family. We have just returned from our fantastic week at Blue Anchor, yes the weather helped tremendously too. 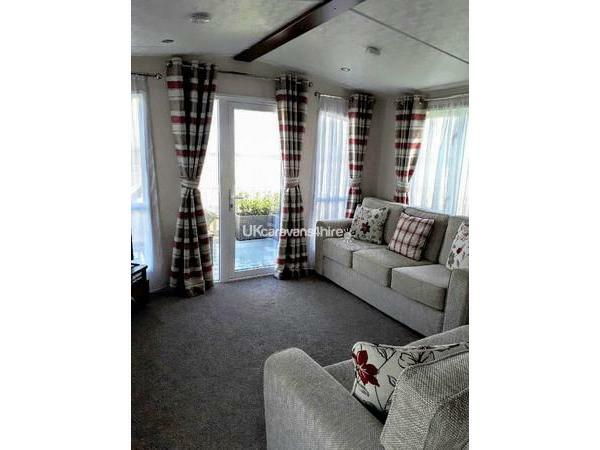 Highly recommend Mick & Sue’s caravan, it is modern, well equipped and very comfortable. The booking was effortless and any questions I did have were answered very quickly. On our arrival tea, coffee and milk were provided. Very dog friendly with the doggy extras in the cupboard i.e. lead, bowls etc... just in case we had forgotten them. Would definitely book again and already have relatives looking to book this year too. We have just had a most enjoyable break in this lovely well equipped caravan, dog friendly which was a bonus, on our arrival we were provided with milk, tea, and coffee which was most welcome, the caravan is home from home, Sue and Mick were the ideal host, can highly recommend and would book again. Booked at last minute. Gorgeous caravan with everything thought of. Exciting long weekend, as we stayed during storm Brian but we were cosy and warm due to the central heating and double glazing. Owners responsive and easy to get hold of. 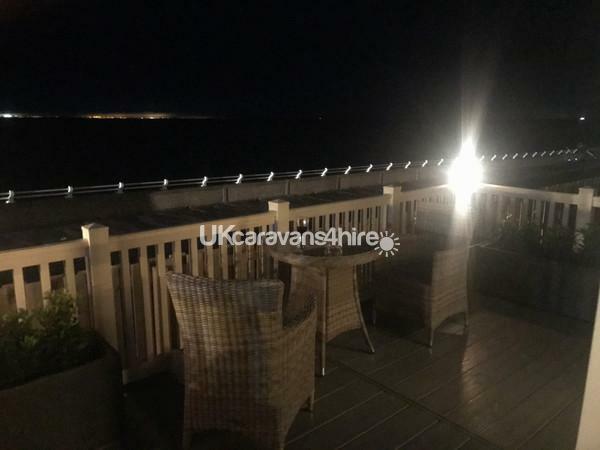 Good location of caravan looking out to sea. Lovely pubs close by to eat out and lovely walks close by. The swimming pool on site was worth paying for additional leisure pass, as we used the swimming pool, Jacuzzi, sauna and steam room.